In 2018, Maestro DeLeone celebrated his 50th Anniversary as Music Director of the Cincinnati Ballet. To commemorate the occasion, a specially commissioned portrait has been permanently installed in Cincinnati’s famed Music Hall. 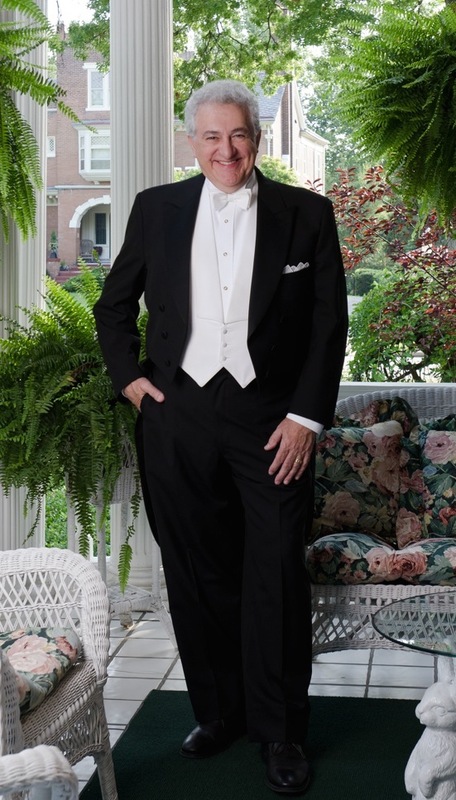 Maestro DeLeone served as Music Director of the Middletown Symphony Orchestra (Ohio) for 35 years, and has been named its Conductor Laureate. At New York’s Carnegie Hall, he has been a Conductor and Host of the “Family Concert” Series, and in Europe, he has conducted frequent performances with the Luxembourg Philharmonic Orchestra. An active composer, DeLeone premiered his Fanfare, Funk and Fandango (An American Dance Set) to celebrate the anniversary of Public Radio Station WGUC in Cincinnati. He has composed many original scores for the ballet, most recently his Princess and the Pea. His best known work, the full-length ballet in two acts, Peter Pan, is enjoying continued praise in major cities throughout the world (most recently in Canada, Mexico, Portugal, Spain, and Hong Kong). Maestro DeLeone conducted the debut of Peter Pan in London during a 28-performance run there with the Atlanta Ballet at the prestigious Royal Festival Hall. As a part of his 50th Anniversary Season with Cincinnati Ballet, he has composed a new score for the Company, “Dancing to OZ!” His list of ballet score creations also includes Frevo, Guernica, With Timbrel and Dance Praise His Name, and Ruth Page’s Billy Sunday, which was nationally televised during its premiere, and also featured in a WTTW-PBS documentary. Maestro DeLeone has frequently conducted other orchestras throughout the United States, Canada, Australia, Puerto Rico and Europe. He made his European debut with the Philharmonic Orchestra of Luxembourg. Following the Maestro’s Carnegie Hall Debut with the Orchestra of St. Lukes, he was immediately re-engaged to conduct and host the prestigious hall’s series of Family Concerts. During his 12-year tenure as Assistant, and later Resident Conductor of the Cincinnati Symphony Orchestra, Maestro DeLeone served on its staff with Music Directors Max Rudolf, Thomas Schippers, Walter Susskind, and Erich Kunzel. He was also selected personally by Maestro Erich Leinsdorf to participate in an intensive master conducting seminar at Lincoln Center. As a pops conductor, the Maestro lists Ella Fitzgerald, Tony Bennett, George Burns, Jerry Lewis, and Gladys Knight as just a few of the guest artists who have performed in concert with him. An extremely versatile musician, he has been a French horn soloist with orchestras throughout the United States, the Virgin Islands, and Puerto Rico, playing both the classics and jazz. A much-in-demand jazz drummer, Mr. DeLeone is equally at home in the recording studio or leading his own “Studio Big Band” in concert. He is also the host of the very popular “Sunday Morning Music Hall” on Cincinnati Radio Station WDJO, and has also been featured in concert broadcasts on Chicago’s WFMT (98.7 FM). Maestro DeLeone is very pleased to have made his New York conducting debut with the Alvin Ailey American Dance Theater at New York’s City Center (Carmina Burana and Revelations). Maestro DeLeone earned B.M., B.S., and M.M. degrees from the Cincinnati College Conservatory of Music. He served at CCM as Adjunct Assistant Professor of Opera and Music Theatre. During this tenure, he conducted productions of Prince Igor, Cenerentola, Gianni Schicchi, The Crucible, La Calisto (American Premiere), and The Secret Marriage (with Kathleen Battle). He has been presented with the Conservatory’s “Distinguished Alumni Award.” At Indiana University, he conducted the world premiere and nationally televised production of John Eaton’s children’s opera, The Lion And Androcles. Maestro DeLeone is a proud recipient of the Cincinnati MacDowell Medal, as well as Cincinnati’s most prestigious Post-Corbett Award for excellence in the arts. He has also been named a “Gentleman of Style and Substance” by Cincinnati Magazine.